These jobs are everywhere, and nearly 50% have five or fewer employees. These are local “mom and pop” businesses that help their community save energy, while providing purposeful work. 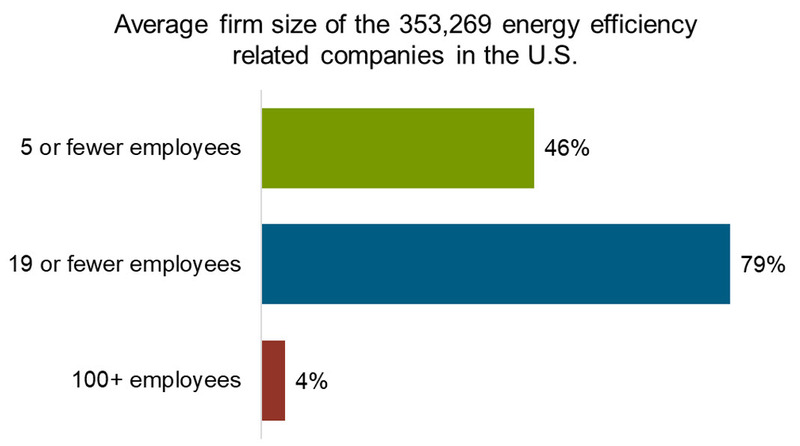 It’s no surprise many Americans who work in EE often stay. The industry provides meaningful work and good salaries. EE becomes a career and a way of life. Our Faces of EE initiative highlights more than 1,200 EE workers, representing all 50 states and the District of Columbia. 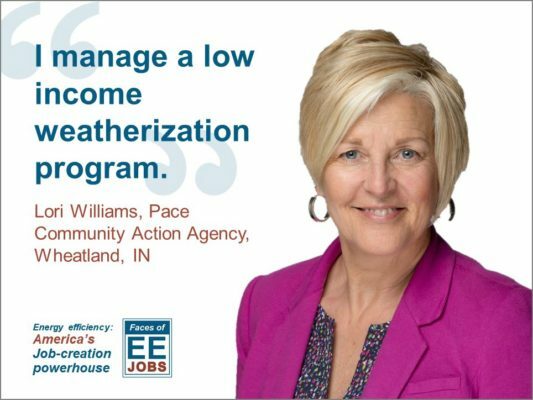 When asking these professionals what matters to them about EE, participants often cite a desire to give back to their communities, the ability to improve air quality, and the satisfaction of improving customers’ comfort while helping save money. 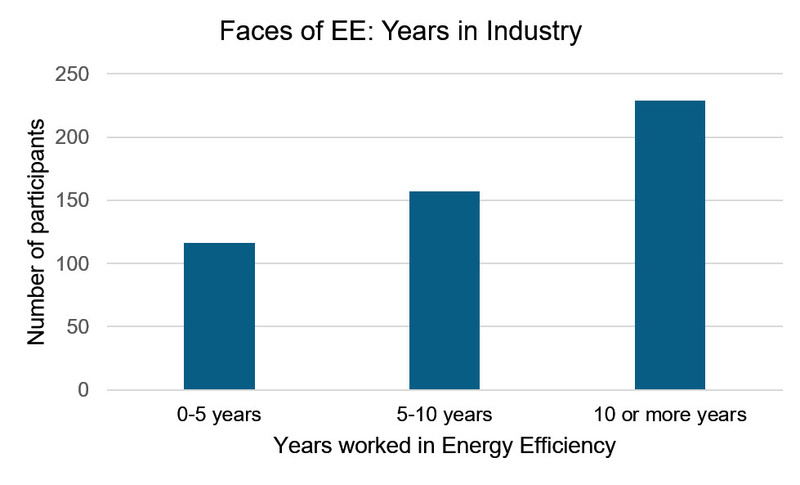 Their commitment to EE is evident: About one-third have worked in the industry for 10+ years. Some boast 40+ years of career experience! Many of these EE professionals live in rural areas rather than major cities and work for small businesses and community organizations. Faces of EE participants are committed to their work because they know how important EE is for their communities. After reading the American Council for an Energy-Efficient Economy’s (ACEEE) recently released Reaching Rural Communities with Energy Efficiency Programs report, I understand that rural EE workers face many obstacles. Their jobs are difficult, but this group of professionals remains dedicated to improving the lives of others. Larry Malcomb has contributed his skills and talent for 34 years at Inter-Lakes Community Action Partnership in Madison, SD. He believes energy efficiency can change lives. Lori Williams is associate director of a community action agency in Indiana. For more than three decades she has worked for this organization that serves a half-dozen rural counties. Lori says energy efficiency is important because it saves customers money. If you work in the EE industry, we invite you to join Faces of EE spotlighting EE workers. 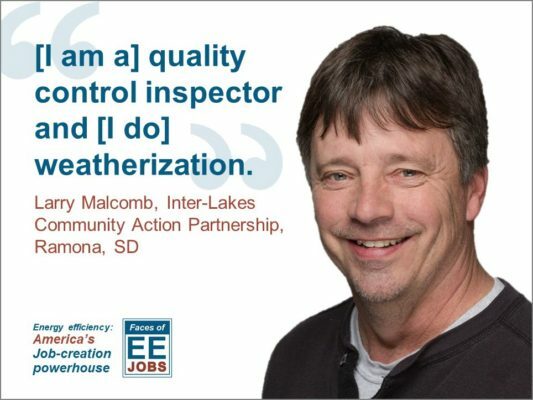 Also, please help spread the word about our recently released Energy Efficiency Jobs in America report and join the conversation on social media channels this #EEDay2018, October 5. By supporting strong EE policy, you not only promote cleaner air and lower energy bills, you also support job creation in the cities and towns across America.